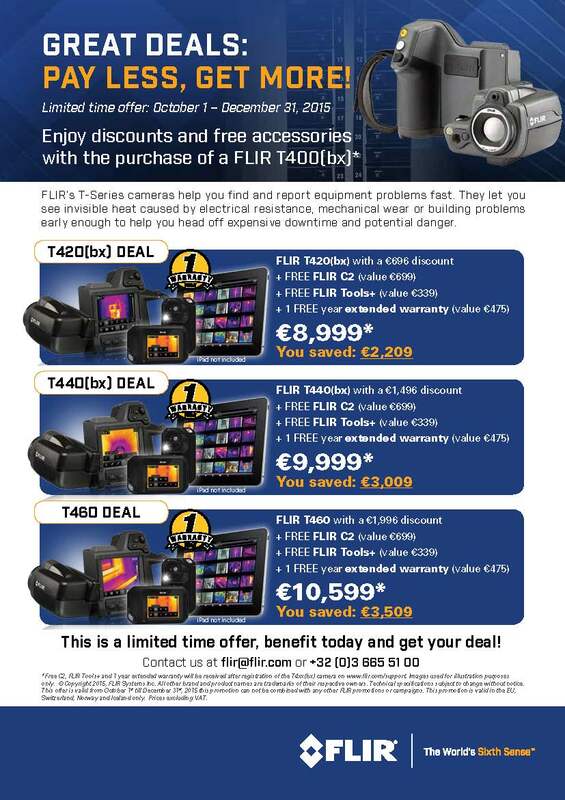 € 100 off a new FLIR TG165 spot thermal cameras! 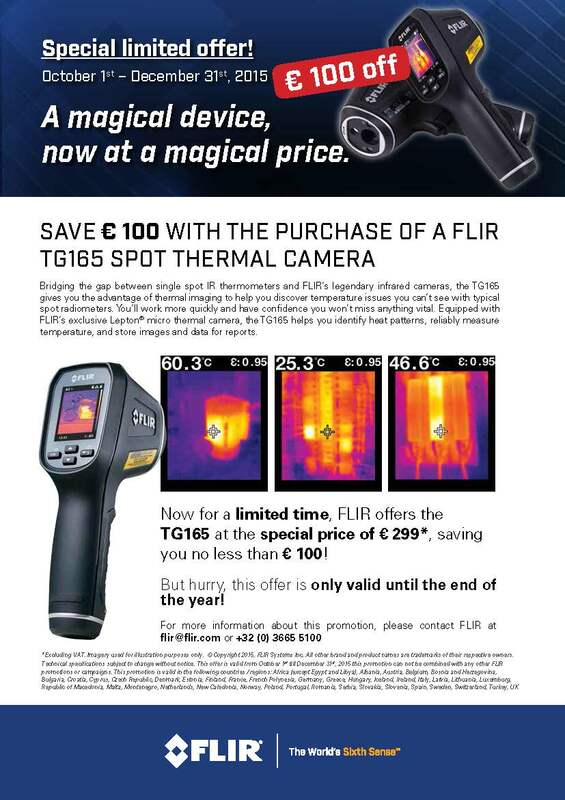 Now for a limited time, FLIR offers the TG165 at the special price of € 299, saving you no less than € 100! 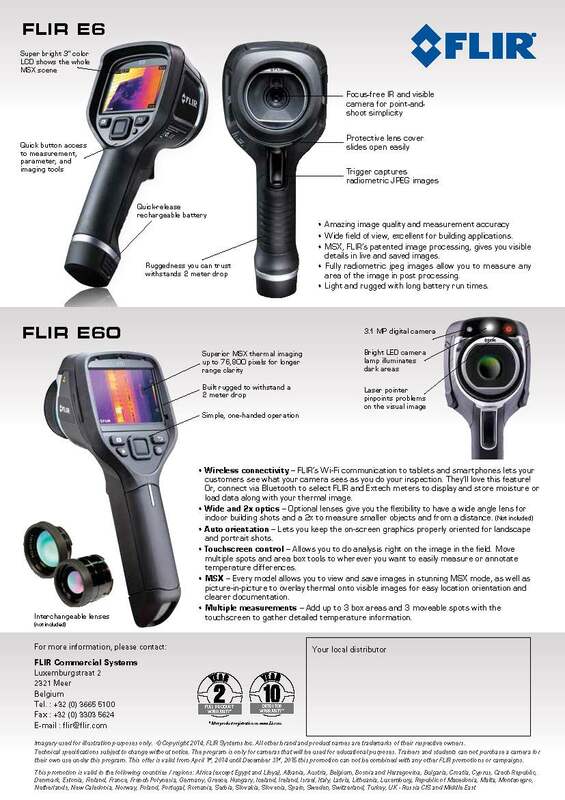 The FLIR E60(bx) with MSX technology is the highest performance model of the FLIR Exx-Series. 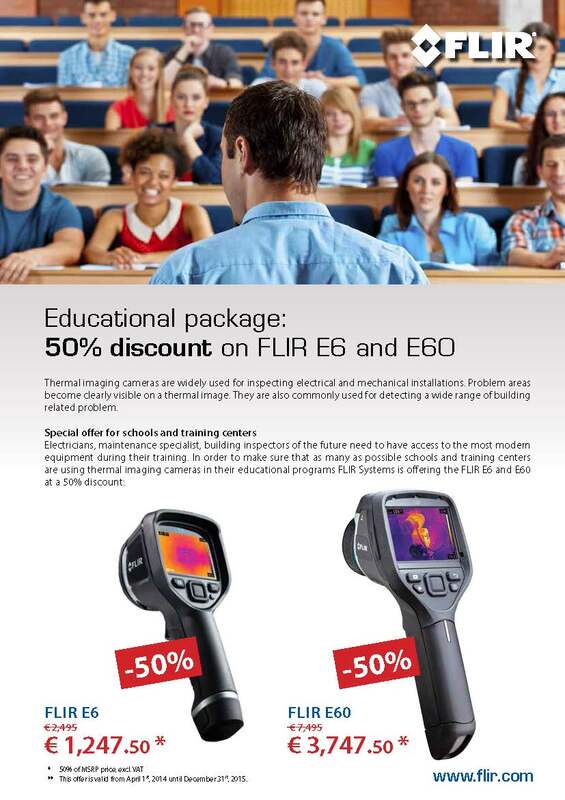 Now you can choose between several promotional offers, including discounts up to € 1,350, or even a free TG165 imaging thermometer or a free lens. 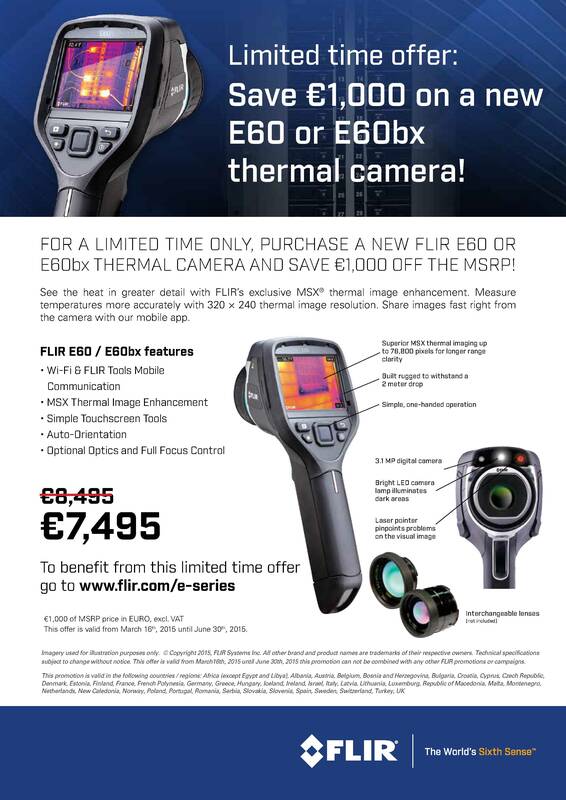 FLIR’s T-Series cameras let you see invisible heat caused by electrical resistance, mechanical wear or building problems early enough tohelp you head off expensive downtime and potential danger. 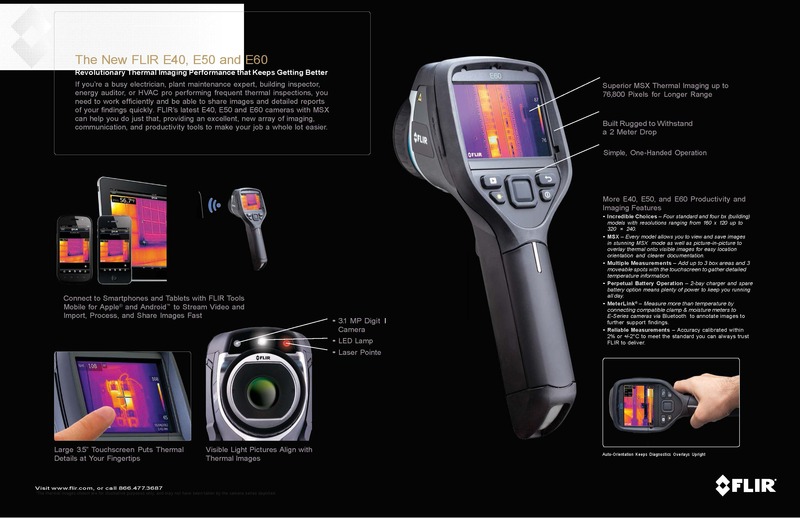 Now buy one of the T400(bx) series and enjoy a discount, with a free C2 compact camera, free FLIR Tools+ software and a free extended warranty. MR77 (NIST version not included), based on your own choice. 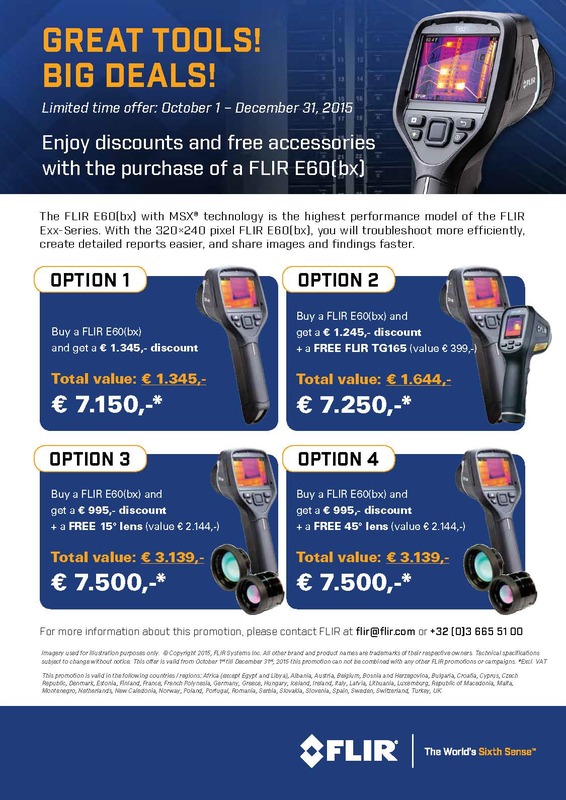 PURCHASE and SAVE now 1.000 EUR! Every NEW customer gets additional promotional DISCOUNT!